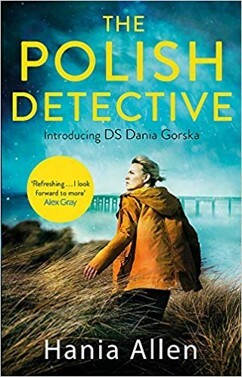 DS Dania Gorska, a young Polish officer, fetches up in Dundee after issues in the Met. This doesn’t seem to be her first case in Scotland, but it’s clear she is still finding her feet. And what a case it is: a series of corpses deposited in places guaranteed to grab everyone’s attention. Another connection is the obscure and very unpleasant poisons favoured by the killer. Or is it killers? Police Scotland mounts a surprisingly low-key investigation into a group of druids, who may or may not be connected with the disappearance to two local girls. But then, as the protagonist points out, police services everywhere have been cut to the bone. Brexit also looms, likely to have a major effect on the Polish community in Dundee, some of whom are on the receiving end of xenophobic abuse. The plot is intricate and the background very well-researched, with a couple of very satisfying, indeed unnerving, twists at the end. Perhaps I wish she had exploited the Polish connection in a more meaningful way, and that she used Dundee as more of a character than simply a back-drop. But this is a good read, and with luck DS Gorska will be able to stay in the UK despite Brexit and have more cases to deal with.